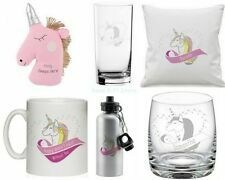 Unicorn Personalised Gift Box. Otherwise the card will be left blank for you to fill in. Unicorn Good Box contains;. Unicorn 5pcs Stationery Set. Unicorn Playing Cards. Unicorn Sticker Sheet. Unicorn Transfer Tattoos. A set of 8 boxes with unicorn detailing and glitter. 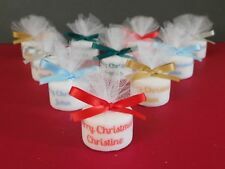 Perfect for popping sweets or treats in for party or wedding favours. 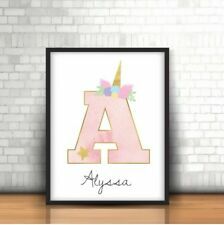 Personalised unicorn print. This item is for an A4 print only. A lucky unicorn shoe - May your unicorn always bring you luck. 🌈A rainbow - May your unicorn fill your life with colours. As a mum of 2 “unicorn owners”, my girls love these little bags. Mini bottle - To keep your secrets safe. Personalised print. Ride a Unicorn. Dance with Fairies. This item is for an A4 print only. 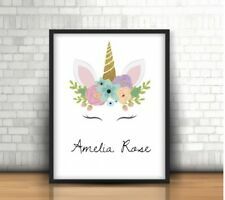 Personalised unicorn print. This item is for a set of 3 A4 prints only. The colours cannot be changed. Personalised Baubles Christmas Gifts Personalised Books Word Art Prints Photo Collage Prints Foil Prints. A- Yes you can! Just let us know which word you would like shown in the Centre. - Around 20-40 Words. These personalised 100% cotton gift tote bags will delight any Child. This adorable Unicorn design bag. - by Made Person al. To forward the details for your personalised Cotton gift bag either Printed on to a quality thick eco friendly 100% cotton bag. Box clever and get great service and great deals from CRH Inspirations. Cute Unicorn Print! Printed in A4 quality glossy photo paper 220gsm. Personalised Print. Printed on 300gsm White Linen Card. Unicorns, Mermaids, Swans, Koalas, or your own theme!! Personalised unicorn decoration ideal for any room present or present. Please not this is not a toy. 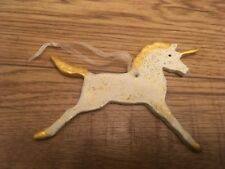 Gold and transparent 3inch plastic unicorn. Actual colours may vary due to screen resolution and size of text may vary due to name size. Dispatched with Royal Mail. I can change the word niece to other relation (Daughter, Sister, Niece, Granddaughter or Friend). A beautiful A4 print perfect as a Birthda gift for a Daughter, Sister, Niece, Granddaughter or Friend. 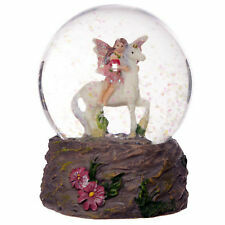 A lovely diamante Unicorn keyring. A suitable gift for any occasion. You are viewing You may also like. Unicorn Plush. A lovely gift for any occasion. Usual Price £ 12.99. 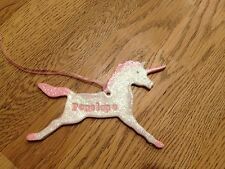 Handmade Clay Sparkly Unicorn Gift Tag - Personalised Any Name/colour.